My Edgar Award-winning first novel, Rogue Island, is now available in a French edition. 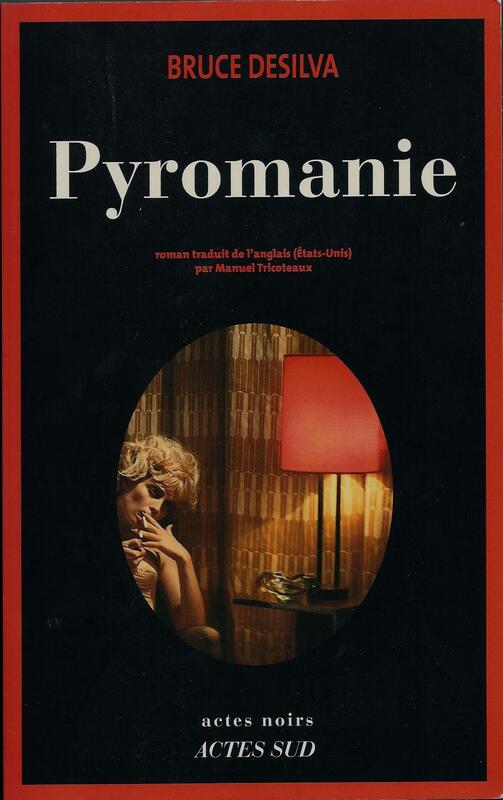 The French publisher, Actes Sud, changed the title to Pyromanie, which translates as Arson. The change was necessary because the original title was a pun on Rhode Island, and puns don’t translate. I’m proud to say that my Mulligan crime novels have been published in ten foreign languages including Japanese, Spanish, Russian, and Korean. The second novel, Cliff Walk, is now available in trade paperback, and the third, Providence Rag, will be published in the U.S. by Forge in March. I’m now writing the fourth, tentatively titled Providence Vipers. Thanks to all my fans, from Maine to California and from Italy to Japan, for their continued support. This entry was posted in Uncategorized and tagged Actes Sud, arson, Bruce DeSilva, Cliff Walk, crime novels, edgar award, Mulligan, Providence Rag, Pyromanie, Rogue Island. Bookmark the permalink. My book club is reading “Rogue Island” for our meeting the first Wednesday of December, and I am the discussion leader. I am hoping to find some discussion topics generated by the book.